Run eBuddy Messenger as a native application. Is there a better alternative to ieBuddy? Is ieBuddy really the best app in Chat category? Will ieBuddy work good on macOS 10.13.4? 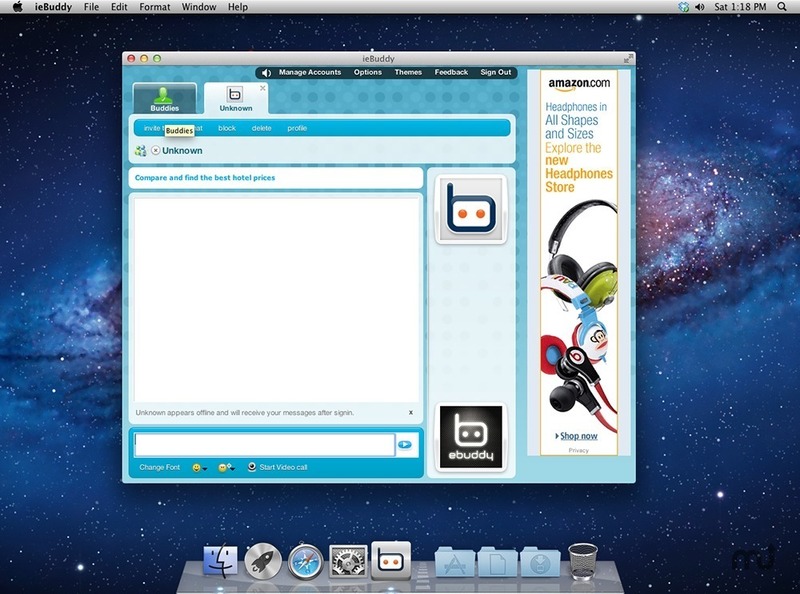 ieBuddy is a Mac OS X Web service that allows you to run eBuddy Messenger as an application without opening a browser. It supports all eBuddy Messenger features and has some extra features as well. [FIX] About us has been improved. [NEW] ieBuddy was built from scratch with a more modern WebKit. [NEW] You can now check for updates and auto update ieBuddy. [NEW] Menu and Keyboard shortcuts added. [NEW] The ability to print the page. ieBuddy needs a review. Be the first to review this app and get the discussion started!